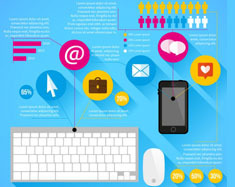 E-mail Marketing is known as a direct marketing and one of the most power tools. 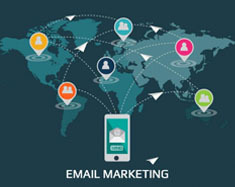 Earlier viewer used to see brochure, templates, magazine & classified ads – now email marketing is a replacement of all these mediums of broadcasting communication including both acquiring new visitors and persuading existing customers for being connected with you. 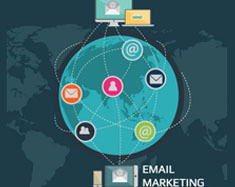 Our specialized ‘Email Marketing Agency’ helps other organization in fully managed email marketing campaigns. 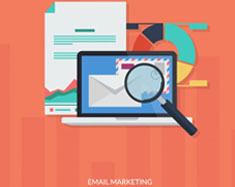 Our services include all aspect of email campaigns from conception to execution and design to deliver. Give us opportunity to become a part of your organization. Blog's are one of the important journal for sharing information to be an expert, consultant and professional. We share all case studies of Digital Marketing, SEO, PPC, Affiliate, Social Media, Amazon and Ebay. If you want to share info please share us, we will publish here.